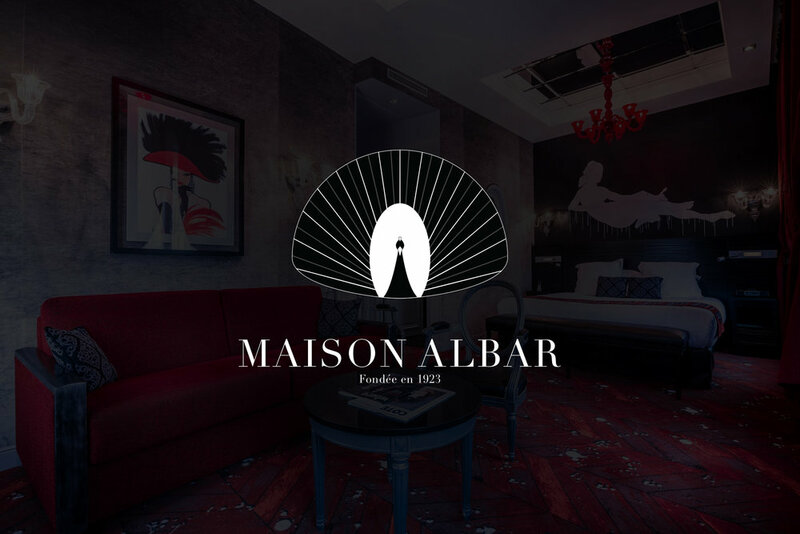 Joint venture between Paris Inn Group and Plateno Group, before branding work Maison Albar was previously named Albar Hotel Collection. My work was to develop a new brand enhancing 3 axes : French heritage and elegance feeling, 5 stars hospitality feeling, no use of Parisian architectural element such as Eiffel Tower or other. My exciting job was to find a link between France and China history to build an iconic logotype. To achieve this mission, I choose to emphasize the French and European style with a Didot font and choose the peacock for its high understandable symbolic for both Western and Asian customers. The Albar family raised four generations of hoteliers, passing on their passion for this industry for almost a century. During this time, they lived and raised their children inside their hotels, naturally giving their staying guests a home feeling. 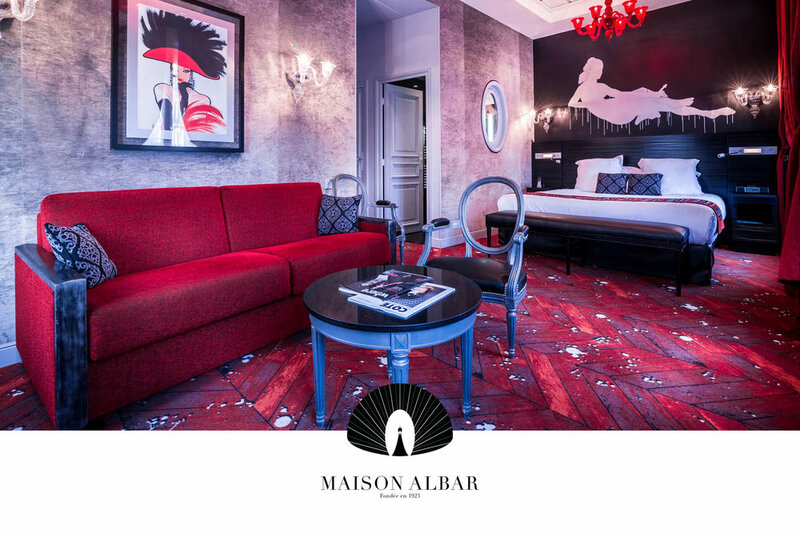 I then naturally proposed to my clients to change the project name to « Maison Albar » to enhance the family heritage of the first Parisian boutique hotel pioneers.